Daily life for many people in Japan involves taking the train, be it to school, work, or just into town for some shopping. Instead of buying a ticket every time, a lot of train commuters opt for an IC card – an electronic, rechargeable train pass which allows you to simply tap in and out of your departure and destination stations, automatically withdrawing the correct fare. But undoubtedly the coolest thing about having a train pass is getting a pass case for it. There are pass cases for every taste and style, but we’re pretty sure this is the first time you’ve seen one that lights up when it’s tapped. Osaka-based company, Denshi Gihan, has released a line of Star Wars themed pass cases, as well as cases for the iPhone 6/6s, featuring a blueprint design of the X-Wing in the style of a computer circuit board. Actually, the cases are real circuit boards, finished with gold plating and a super transparent resin to cover the electronic parts. The red LED light flashes when the case with card is tapped at the ticket gate. So far, it has not been tested for use with passes outside of Japan, except for with FeliCa cards in Hong Kong. The pass cases come in slack white, green, and even black, and come packaged in a gift box with its strap, for 11,000 yen (US$105.95). …or the iPhone6/6s Plus (size 158 by 80 by 10.5 millimeters) with 67 electronic components for 16,000 yen ($153.48). Not quite with the Force? Not to worry- you can choose the Tokyo train map train map design, which looks just as awesome, for 12,000 yen ($115.10). You can purchase these (and many more!) items from the PCB ART moeco site here, but as they appear to only ship within Japan, if you’re living overseas you’ll need to use a reshipping service like JWS , or rely on the help of a kind friend. While it is important to remember that the train pass case hasn’t been tested for overseas compatibility, the iPhone case at least should be universal. And there’s sure to be no one who can match your style! Star Wars jackets are the perfect combination of fashionable and geeky! 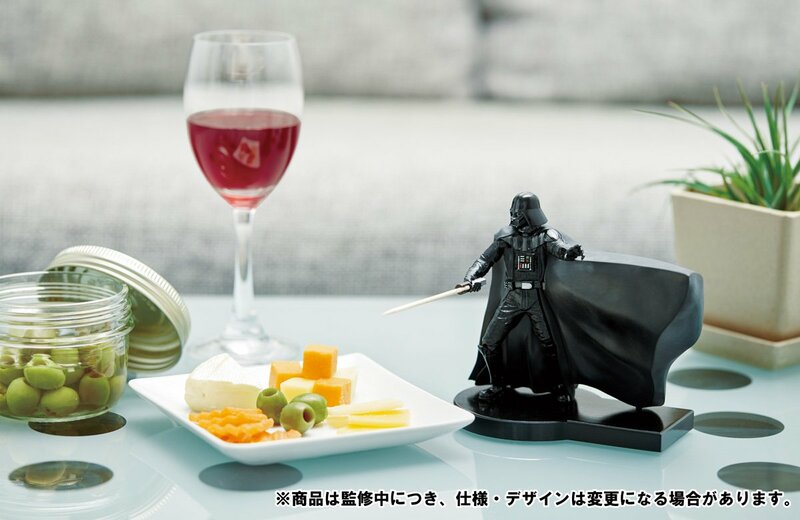 Fans of Star Wars and traditional Japanese clothing, your day has come! These new hanten, traditional short-sleeve Japanese jackets, perfectly mix old and new without going overboard in any direction. Called “和Robe” (“Wa-Robe” or literally “Japanese-style Robe”), the jackets come in beige, ivory, and black and you’ll have two designs, which feature different images on the inside of the jacket, to choose from. 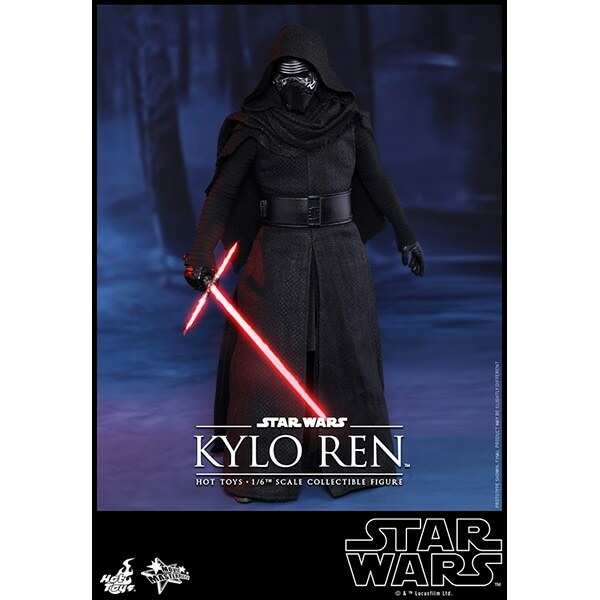 One jacket sports an image of Yoda on a rock looking contemplative and is available in beige only, and the other offers an image of the poster for the original Star Wars film, which you can have in black or ivory. Of course, it might seem odd to put the graphics on the inside of the jackets, but we think it helps maintain a good balance. And each one features “Star Wars” in large, bold letters on the back of the collar, so your love for the franchise is never totally hidden. ▼ Also, you can do this “action star” pose in photographs! 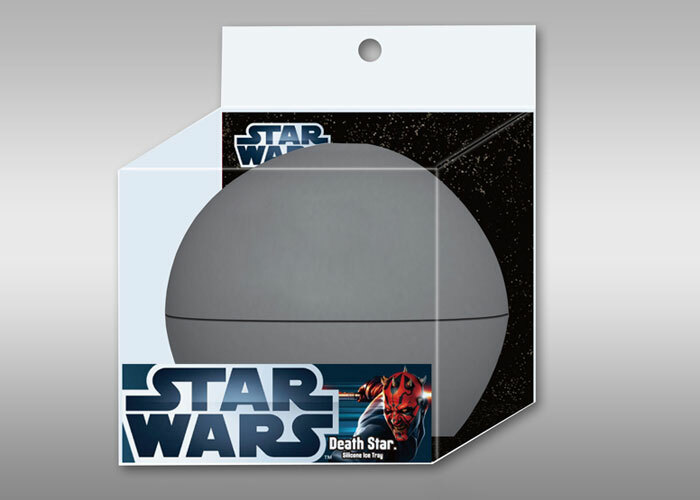 ▼ He wouldn’t look out of place on Tatooine, would he? In addition to the jackets, a juban shirt (basically a Japanese-style undershirt) will also be available with a print that features both the Millennium Falcon and X-wing fighters. You can pair these undershirts with one of the Wa-Robes for a truly Star Wars-themed torso! ▼ The bold lettering probably isn’t necessary here…but who’s complaining? The Wa-Robes and juban shirt won’t be available until June, but you can pre-order them now on Trove. The jackets are 19,440 yen each (about US$177) and the juban shirt is 11,880 yen (about $110). 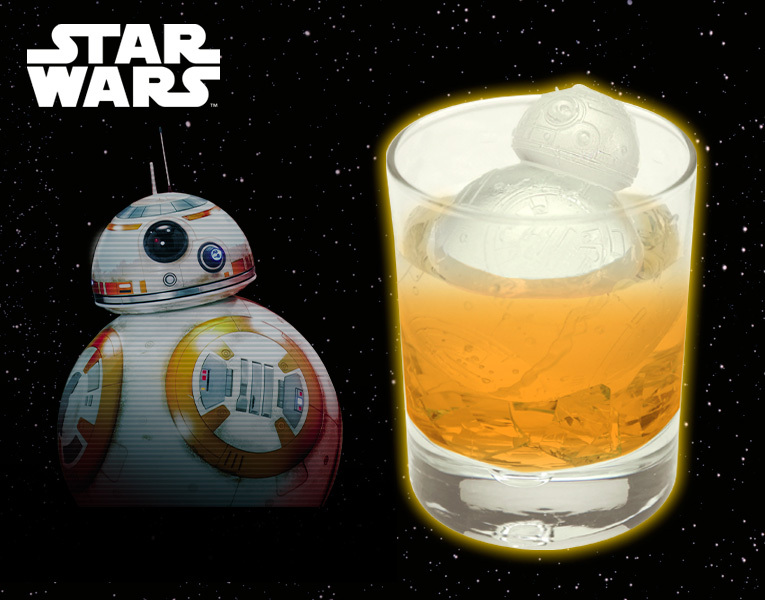 Honey, there’s a deathstar floating in my whiskey! Have you seen it? We have and it was awesome, much better than we expected…but after we came home the reality of real life settled in quickly..yeah I played with my light saber mimicking to be a jedi, but without any storms troopers to slice and dice the fun wore off pretty fast. 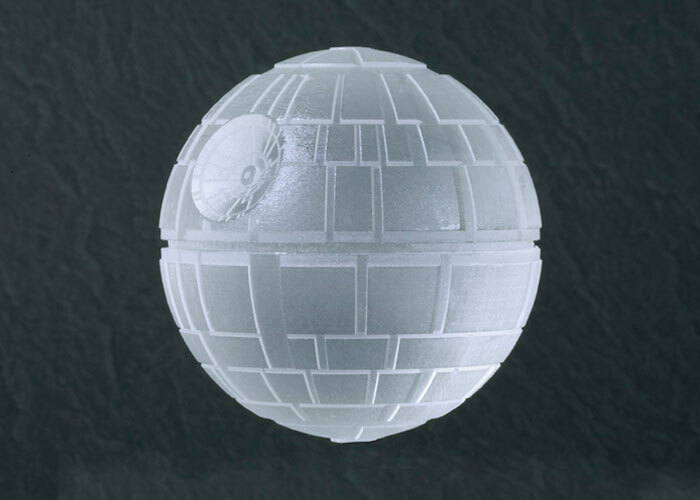 That was when my better half suprised me with a “high ball”, ready to drink my reality away I took a sip and just then I looked in the glass to see a very familiar shape bouncing in my yellow gold bourbon…it was the Death Star! I looked at the missus and she gave me wink…”I know you needed something special to cheer you up after the movie” was all she said. 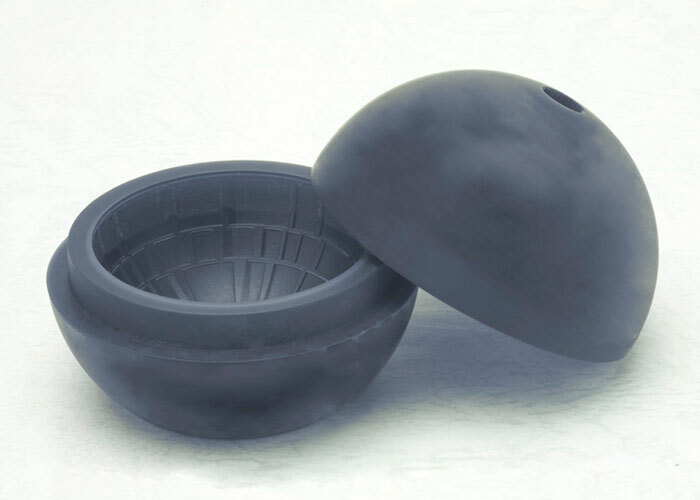 That was all what had to be said, these silicon ice tray are a must have for every Star Wars fan, they are detailed and they have hole in the top in which you can put a stick and create your own Star Wars ice Popsicle! A really big frozen Han solo, I mean big as in big! 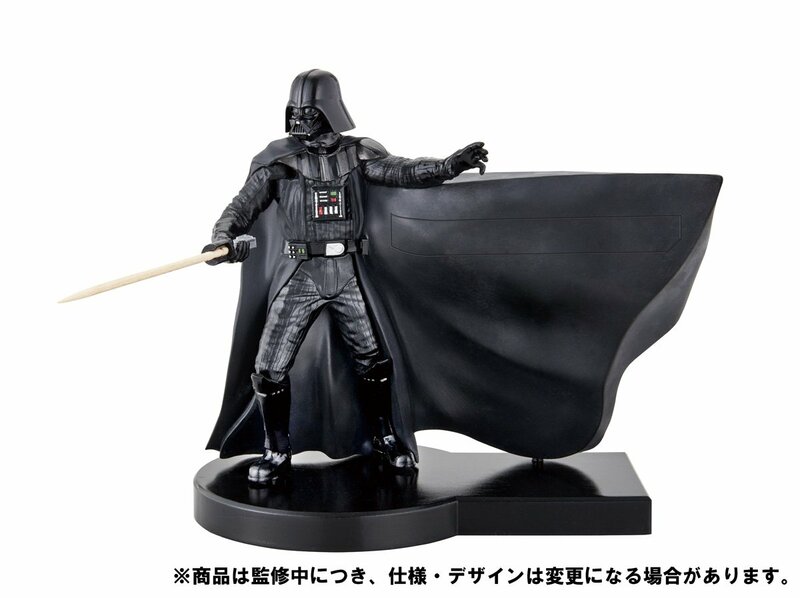 They have plenty more at Kotobukiya craftmanship. And yes they have a (be it limited) English website, but you can’t order through them….but you can through us and we even throw in the points you earn for you to keep! 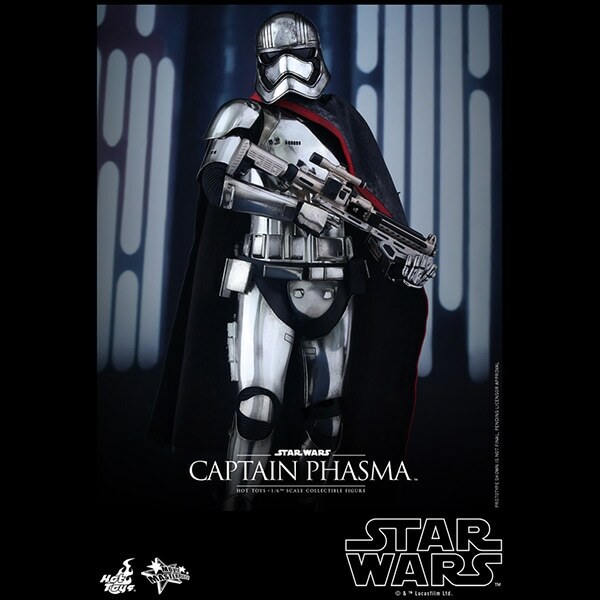 Check out their Star Wars page, it has some really cool stuff. The items will be available from the IDC Otsuka Furniture Shinjuku showroom from 14 November to mid-January next year. Located in a special ‘pop-up’ area of the showroom, there will be 51 types of fabric items, including curtains, tapestries and rugs, exclusive to the store. There will also be 20 types of limited-edition cushions on sale for 3,240 yen (US$26.35) each. One of the most coveted and expensive items available are the ukiyo-e woodblock prints, available in three designs for 54,000 yen ($439.36) each. 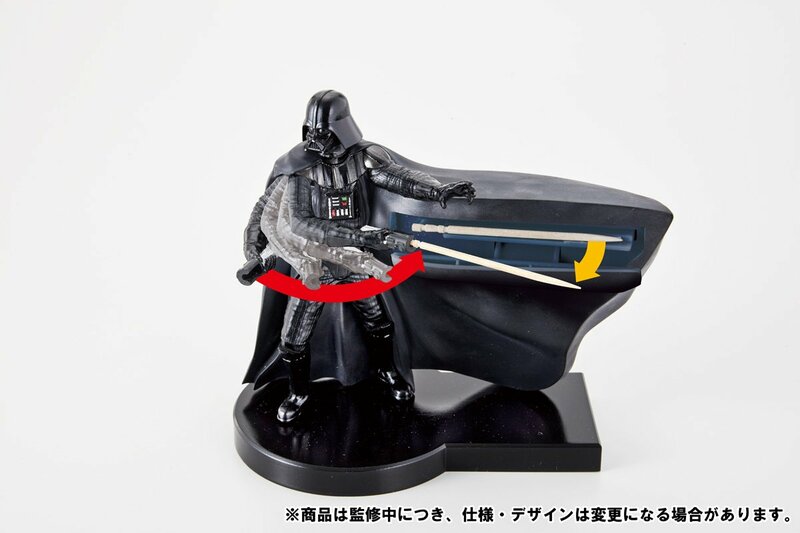 Featuring Darth Vader, a scene from the Battle of Hoth and Queen Amidala with R2-D2, these Japanese-styled artworks come with individual serial numbers and are limited to only 200 prints each. 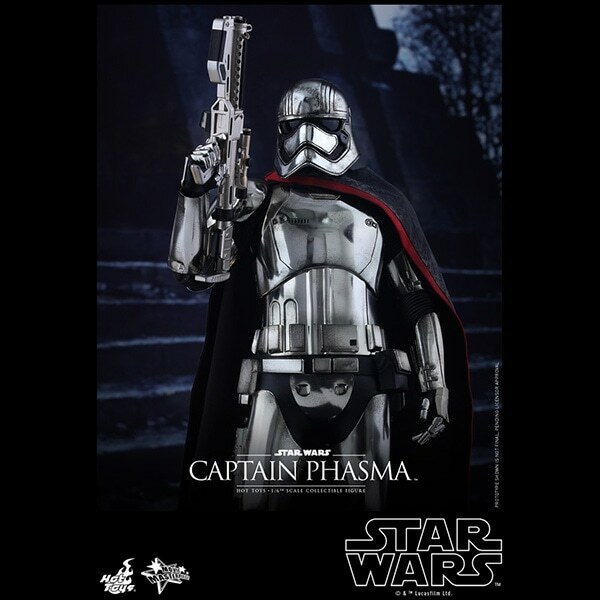 Officially approved by Lucasfilm, these will be incredibly popular. 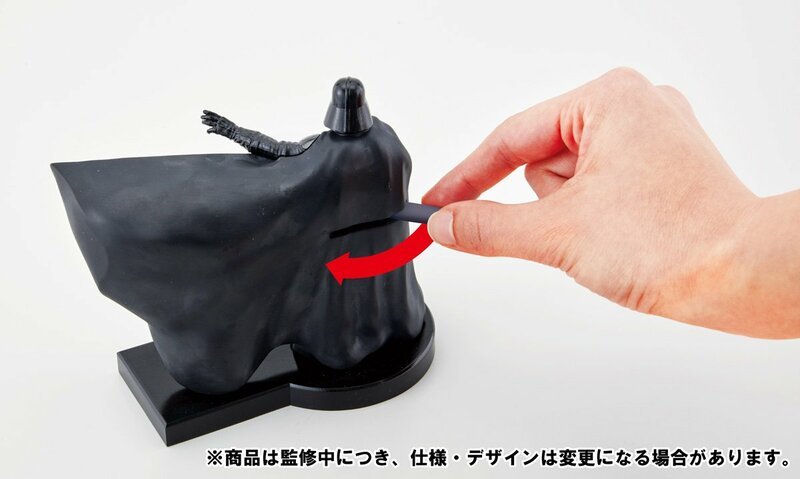 And if kooky everyday items are more your thing, there are coat hangers for 3,240 yen each. ▼ Tumblers from 2,376 yen. ▼ Four-piece plate sets for 2,160 yen. ▼ And these gorgeous Japanese kokeshi dolls, in five character designs, for 5,400 yen each. Open: 10:30 a.m. – 8:00 p.m.